The Joe app lets people skip the lines by using online ordering for small coffee shops. A long coffee line led Nick Martin and his brother, Brenden, to the idea for their company. Actually, a series of long coffee lines. The brothers were getting ready to drive back to Seattle from visiting their family in the Tri-Cities and were searching for a quick caffeine stop. But each coffee shop they tried had a line basically out the door, and they gave up. So the Martin brothers developed an app called Joe that lets independent coffee shops turn on mobile ordering for customers. The app is free for shops and charges coffee drinkers a flat 35 cent fee per order. The Joe app gives small shops many of the perks of competitors’ apps, notably Starbucks’, without having to have their own technology departments. 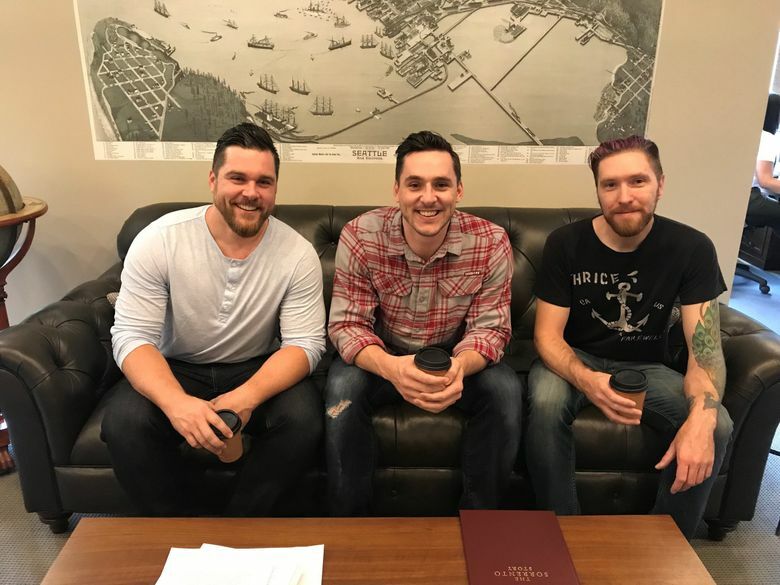 The company, Joe Coffee, raised $1 million last week in a funding round led by new Seattle investment firm Flying Fish Partners. The brothers, along with co-founder Lenny Urbanowski, plan to use the funds in part to launch a version of the app in early October. The Martin brothers had experience working as baristas at a shop in West Richland while growing up, and they saw how small shops work to stay afloat — not to mention how frustrated people get in lines. The brothers tried for years to get their company off the ground, Nick said, and at one point Brenden went back to school to learn to code so they could launch the app. Joe Coffee has about 75 coffee shops on its app so far, and plans to add more, including Seattle chain Caffe Ladro.